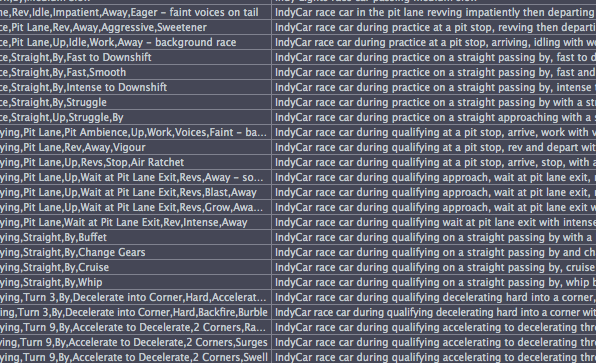 Every sound clip downloaded from our sound effects library is embedded with bonus metadata. It is compatible with Soundminer, Basehead, and Soundly asset-management software, iTunes, and other metadata apps. 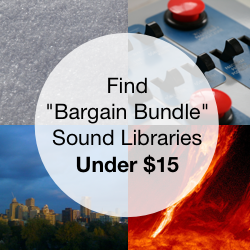 Our sound librarians worked for six months populating, describing, and embedding every one of our 27,000+ sound effects with comprehensive details to help find the precise sound clip you need. 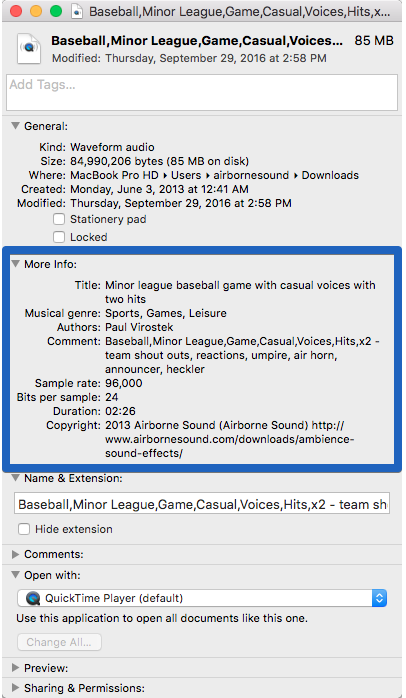 Now every sound effect you download from Airborne Sound comes enriched with metadata. 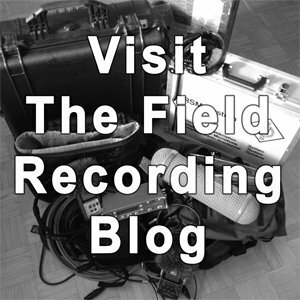 We are field recordists and sound editors ourselves so we know what information you want. We added the right metadata you need to find sounds quickly and edit accurately. Metadata is hidden text information wrapped around each sound file. This bonus information is displayed when sound clips are viewed in metadata app sound file browsers. If you use iTunes music jukebox software, you will also be able to see the metadata information. The extra metadata provides more information than just a file name. With metadata app software or iTunes and Airborne Sound’s additional metadata you will search your sound library quicker and smarter. Metadata software allows you to browse, search and import your sound library directly into your editing workstation, and much more. Feature film sound editors, music editors and sound librarians world-wide use metadata apps to organize and use their sound libraries. Don’t have a metadata app or iTunes yet? Not to worry. Metadata doesn’t interfere with your audio file at all. 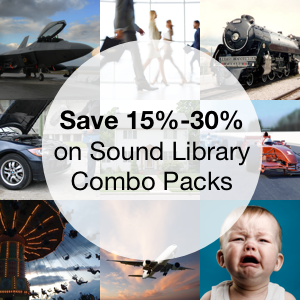 You will still be able to play Airborne Sound’s sound effects just like any other sound files. Metadata comes in all sorts of shapes and sizes. 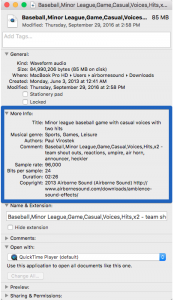 Sound effects metadata includes extended descriptions and details, categories, subcategories, microphone placement, and other recording information. You can see this metadata by typing command-i on selected sound clips, and find them by searching in the Finder’s Spotlight (command-space). The majority of our sound collections are offered in the pro WAV format as stereo 96 kHz, 24-bit WAV files. Our free collections are also offered as MP3s, which support the bonus IDv3 format.